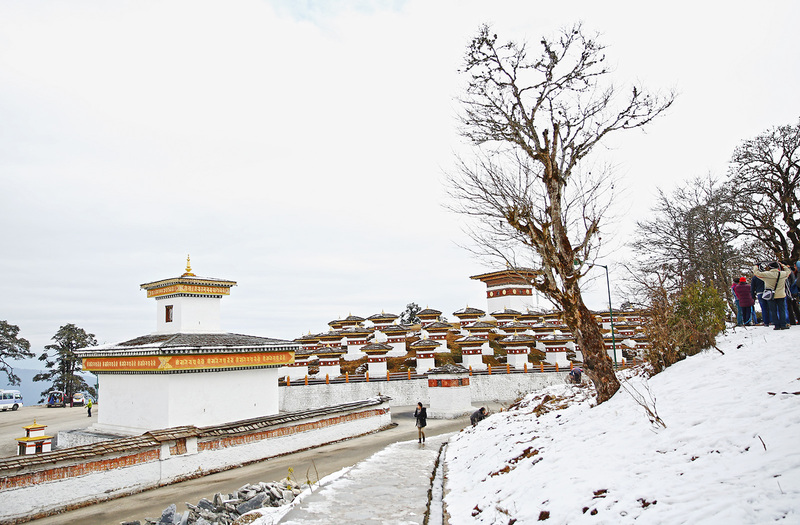 They say the best time to go to Bhutan is around autumn and spring but I think there’s something special about the kingdom during winter as well. 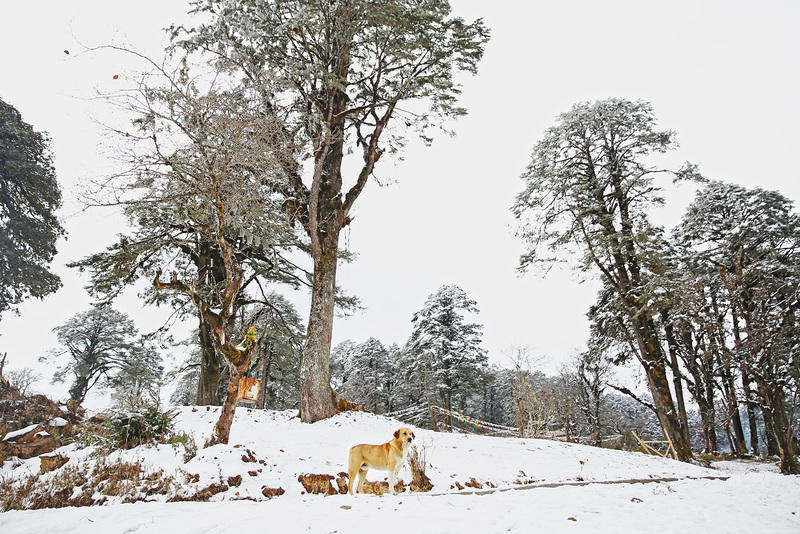 It was early February when my sister and I went to Bhutan so gone were the lush flora and fauna by that time. 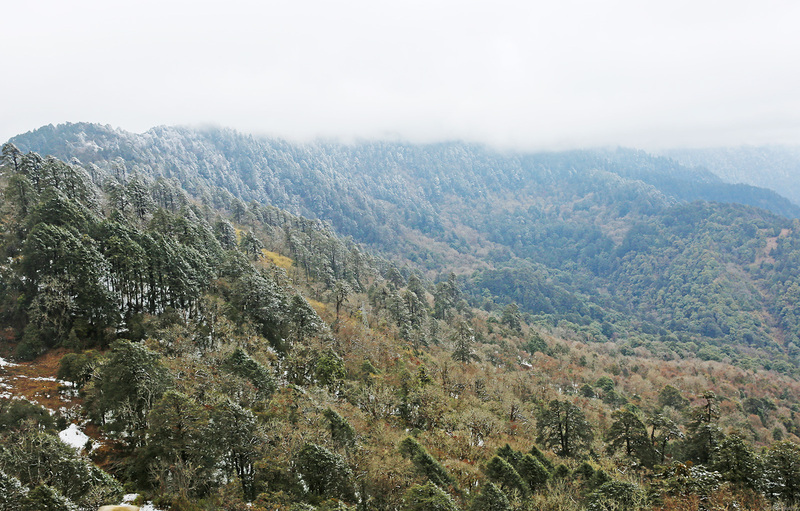 Instead, snow-covered leaves and mountains surrounded its pristine backdrop. I don’t mind. 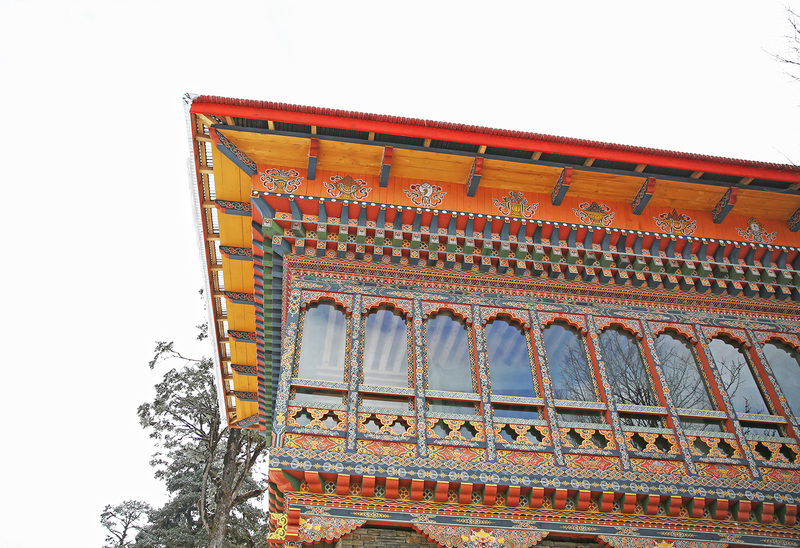 I actually find it eerily beautiful–especially when set against colorful red and gold Bhutanese architecture. Just look at the photos below. 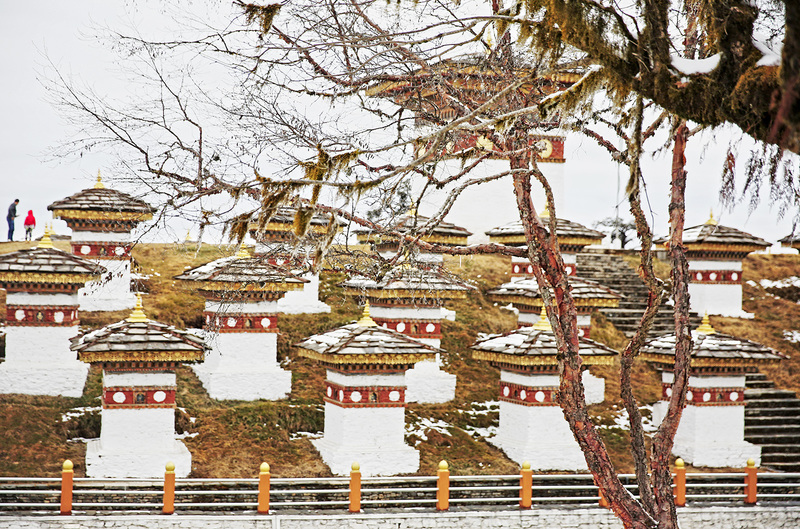 Doesn’t Bhutan just take your breath away? It sure did mine. 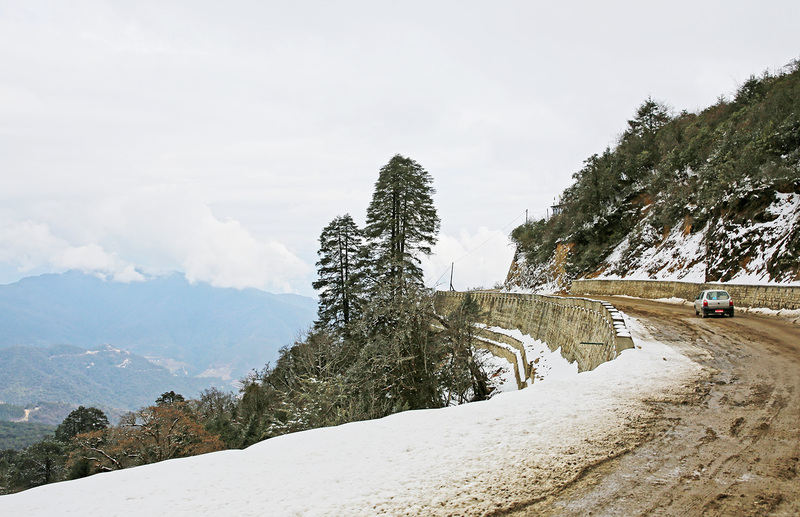 This is the high mountain pass of Dochula located 3100m above sea level. 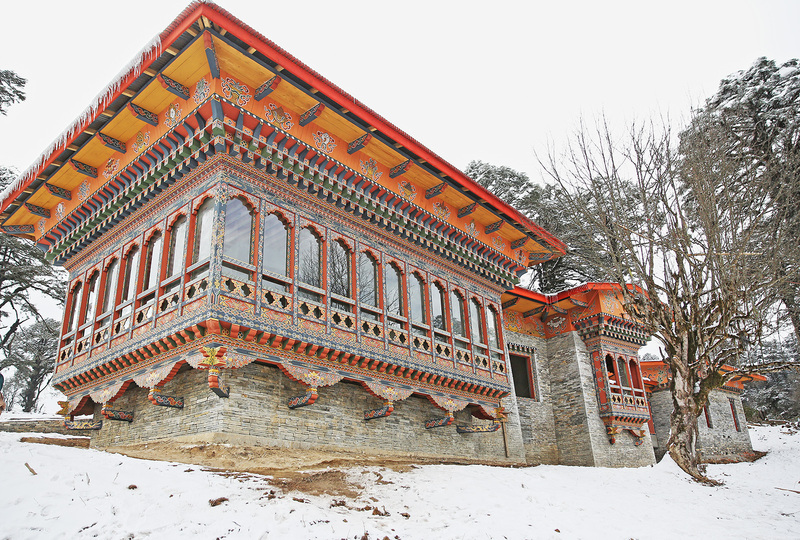 On a clear day, visitors get treated to a 360degree panoramic view of the snow-covered alps of the Himalayas. (We were lucky enough to get to see a few.) 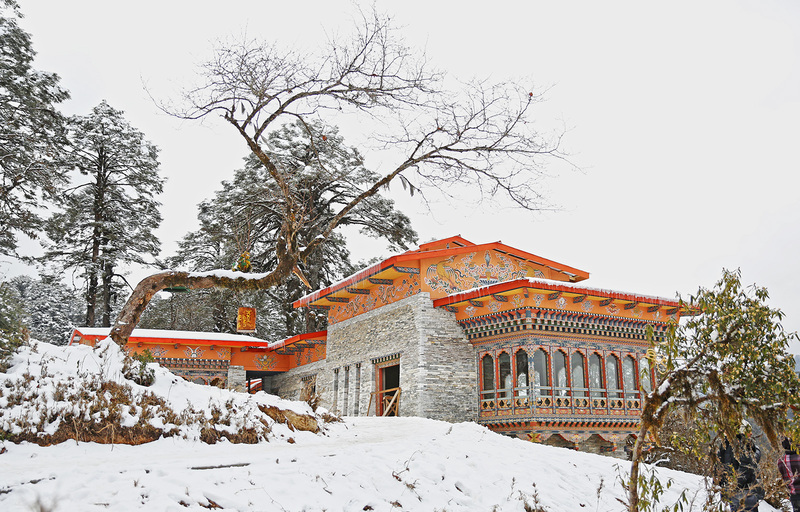 At the center of the pass are little white structures with ornamental red roofs on them. 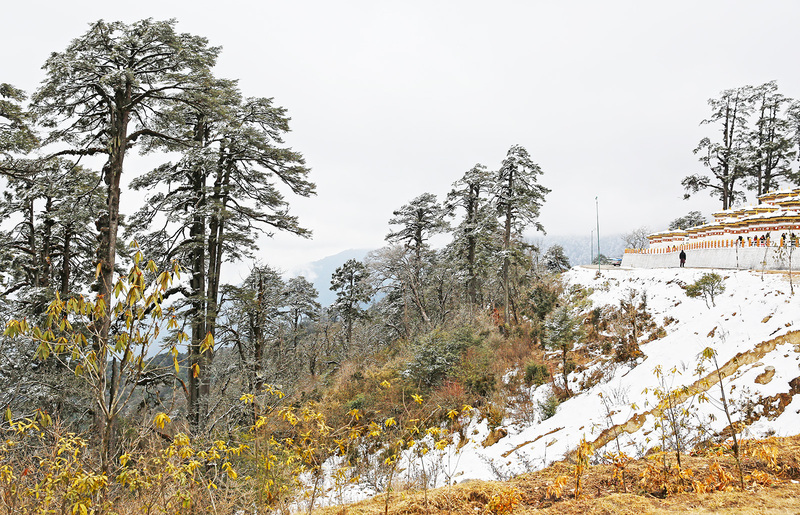 Those are the 108 Druk Wangyal Khang Zhang Chortens or stupas built upon the order of the eldest Queen Mother in honor of the Bhutanese soldiers who were killed in the December 2003 battle against Assamese insurgents from India. 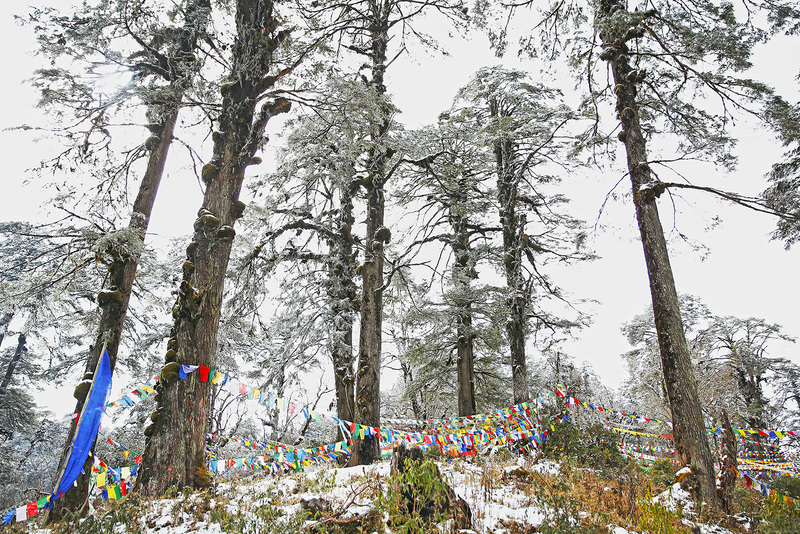 On the hill slopes surrounded by forest trees hang colorful flags called prayer flags. Each flag color represents a natural force and is inscribed with Buddhist scriptural prayers to usher prosperity and peace around the country as well as personal prayers by the person who hung them. 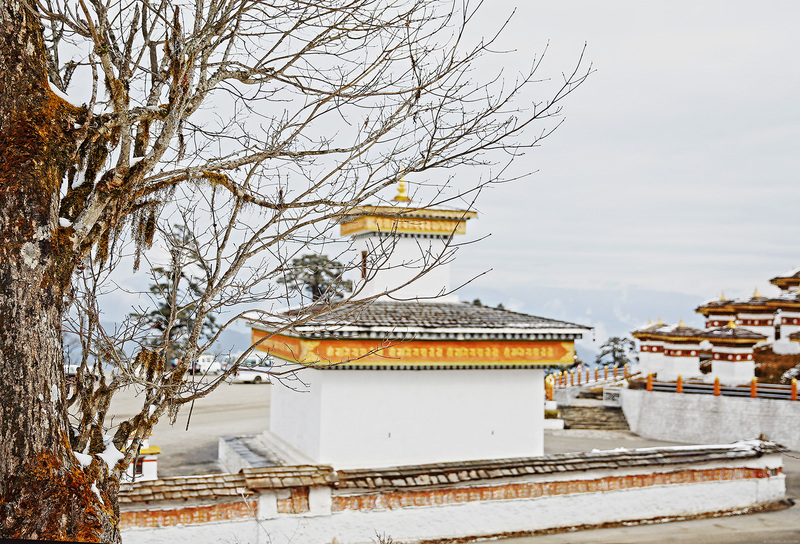 You’ll see a lot of these prayer flags around Bhutan. 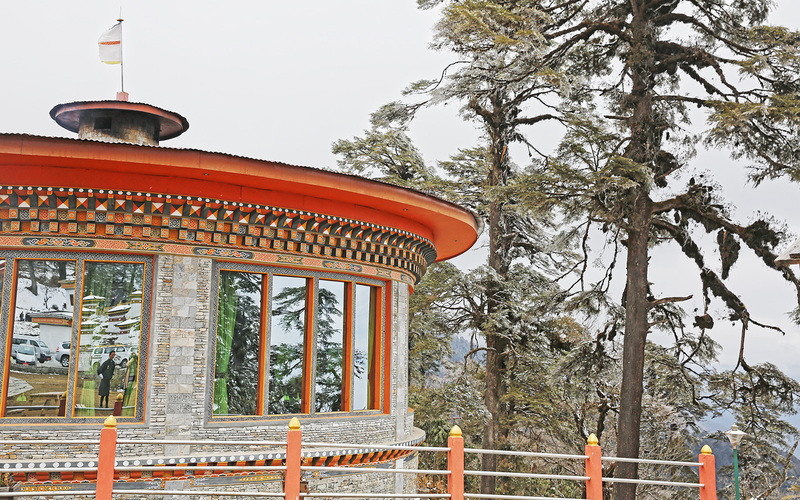 I’m sure they weren’t meant to be decorative but they sure add to the beauty of Bhutan’s natural landscape. 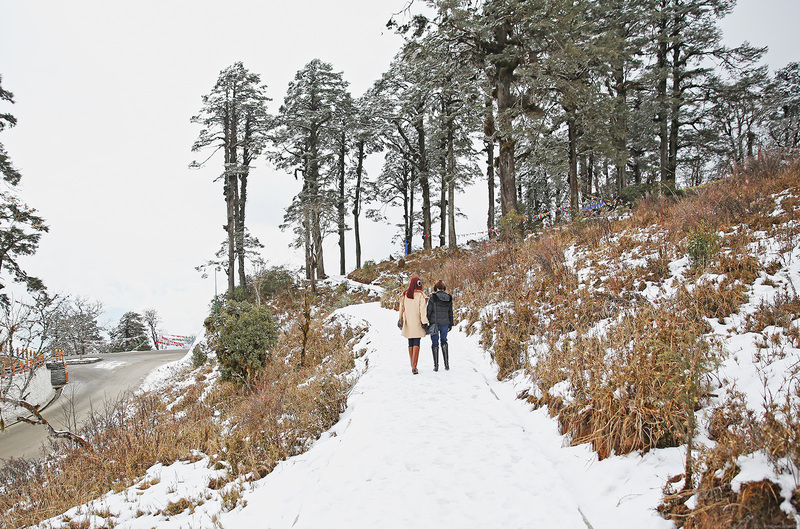 Oh my god, I’m so ashamed, I thought that Bhutan is kinda…sunny country where never snows…I really DID miss my geography lessons, obviously. I’d like to experience its beauty on my own, ot looks soo dreamy! anyway, how long did you stay? I wish to experience snow someday! :) Love the photos Cams! Let it snow, let it snow, let it snooooow :) Thanks Jansell! You and your sister always travel to the most breathtaking places Camille <3 :) This set of photos is literally like a winter wonderland! Love the coat that you're wearing so much! Thank you Elizabeth! I’m lucky my sister loves traveling as well! Oh my god. These pictures are really breathtaking! So so so beautiful! 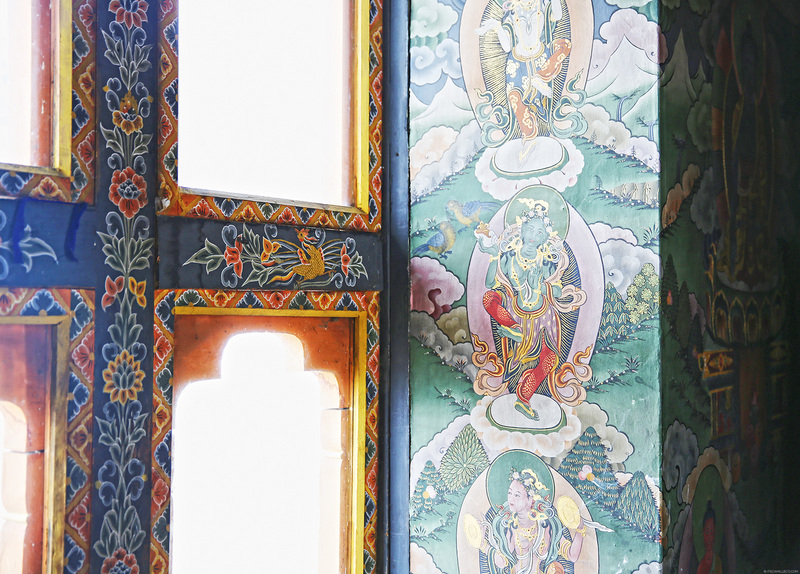 Thanks for sharing the beauty of Bhutan. If I do get to visit, I’d go on Winter too. So pretty! Snow-covered everything looks amazing. Thank you Pia! :) You’ll love it! Super cold but super pretty too! Awwww! You must be excited with the movie coming out soon!